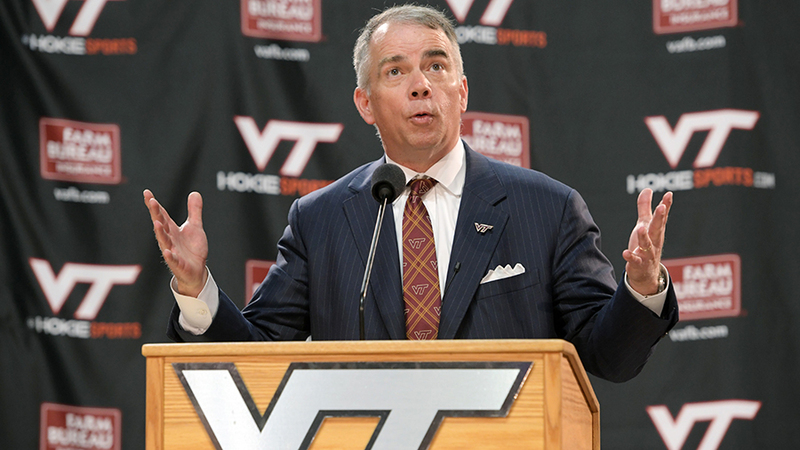 When Mike Young was announced as the next head coach of the Virginia Tech men's basketball program on April 7th, most Hokies fans were unfamiliar with the longtime Wofford coach. In an effort to better understand the man tasked with filling Buzz Williams' sweaty sneakers, we figured we would reach out to someone who has been covering Young for some time. Todd Shanesy covers Wofford basketball for the Spartanburg Herald-Journal and was kind enough to share some thoughts on Young and what Tech fans can expect from the new head whistle. What type of a program does Mike Young run? What is the culture within the program, and how does that translate to the types of players and/or personalities he recruits? Mike Young's teams have relied on players being accountable for themselves and each other, both on the court and in the classrooms. They are trusted to do the right things. Players don't need anybody constantly checking on their grades or helping with schedules. There are no bed checks on the road. Character is a quality coaches truly value in recruiting. As far as I know, there has never been a violation of team rules or suspension of any kind. How would you describe a Mike Young team on the court? What's its style of play? What does it emphasize? Has the system evolved or changed throughout the years?